How should rulers rule? What is the nature of power? 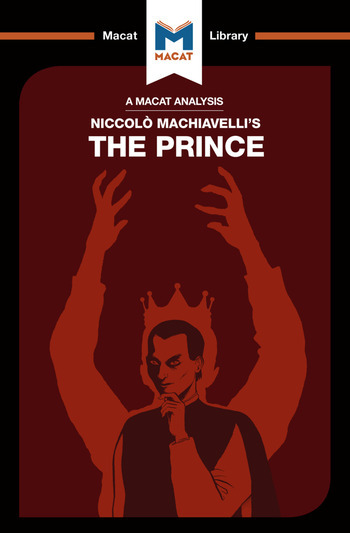 These questions had already been asked when Niccolò Machiavelli wrote The Prince in 1513. But what made his thinking on the topic different was his ability to interpret evidence: to look at old issues and find new meaning within them. Many of Machiavelli’s contemporaries thought that God would make sure morality was rewarded. To these people, it was inevitable that ethical individuals would enjoy success in this world and attain paradise in the next. Machiavelli was not so sure. He used the evidence of history to prove that people who can lie, cheat and murder tend to succeed. Machiavelli concluded that three main factors affect a political leader’s success or failure. In doing so, he reached an entirely new understanding of the meaning of his evidence. Machiavelli argued that behaving in a moral way actually hinders a ruler. If everyone acted morally, he reasoned, then morals would not be a disadvantage. But in a world in which leaders are willing to be ruthless, a moral leader would make both themselves and their state vulnerable. Machiavelli’s novel interpretation posits that morals can make a leader hesitate, and this could cost them – and the citizens they are responsible for – everything. Dr Ben Worthy is Lecturer in Politics at Birkbeck, University of London. His research interests include government transparency, open data and political leadership, and he is the author of The Politics of Freedom of Information: How and Why Governments Pass Laws That Threaten Their Power.